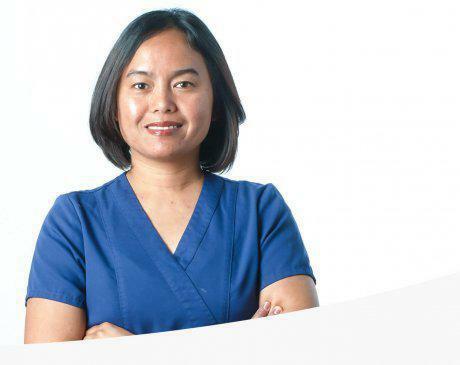 Janet Magracia, PT, is a licensed physical therapist who brings over 20 years of experience to her patients at Total Health Physical Medicine & Rehabilitation Center in Florham Park, New Jersey. She has training and expertise in many fields of rehabilitation, including geriatric, pediatric, orthopedic, neurologic, cardiovascular, vestibular, injury, and postoperative. Magracia has a true passion for people, and her therapeutic solutions are always customized to meet the needs of the individual patient. Her goal is to provide each patient with a quick, safe path to restored function and pain-free living. After earning her bachelor’s degree in physical therapy from San Pedro College in Davao City, Davao del Sur, Philippines, Magracia worked with reputable institutions in the Philippines and Saudi Arabia. She came to the United States in 2007, making her home in New Jersey. Magracia is fluent in Tagalog and Cebuano. In her free time, she enjoys spending time with her husband, Brian, her son, Joaquim, and her daughter, Alexa.